To round off the event we also got a little hands on time with a couple of the devices on show. Namely the Bold 9900 and the Torch 9860. As you'll see the focus is more on what BB OS 7 brings to the table but at the same time, you get an idea of the snappy UI and you can see the work RIM has put into making navigating a next-gen BlackBerry a slicker experience. First off the Bold 9900 in the hands of a RIM representative who takes us through the new look Facebook and Wikitude apps to show off a little more of that augmented reality goodness. Secondly the Torch 9860 shows us a little video playback, the image gallery and the new and improved BB OS 7 web browser. 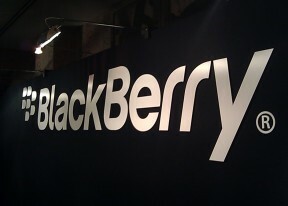 If you want to know a little more about the press event at the start of the whole morning, below is the slideshow featured from Blackberry's own slide share, enjoy. That brings the excitement of today sadly, to a close, but now we have three (read five) new devices to look forward to in stores in certain markets as early as September. No doubt we'll bring you more content when these new Berries make it to our office for a full review.